Enlighten the lamps of happiness in your life with Videocon, a renowned organization in the field of Electronics equipments manufacturing. 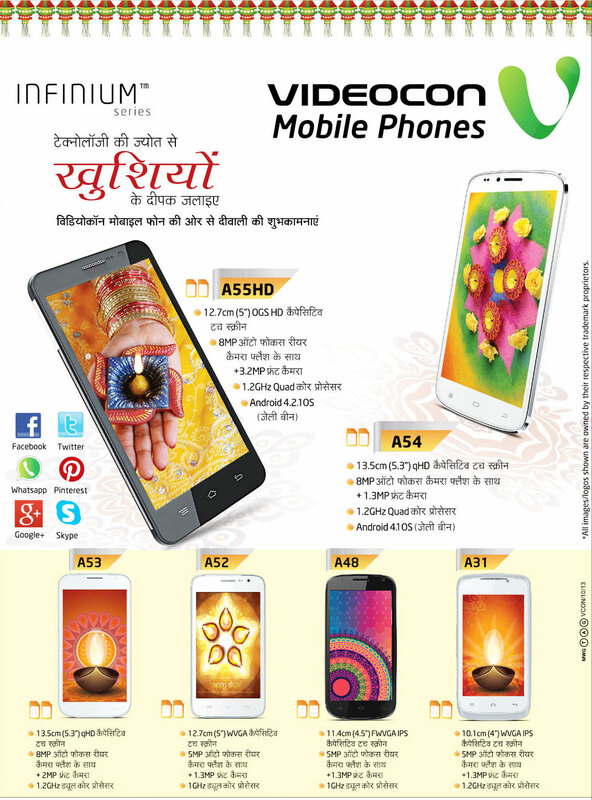 Videocon is following the trend of wishing Diwali to it’s consumers by introducing new handsets with interesting features. In this series A52, A48 and A31 are also available.